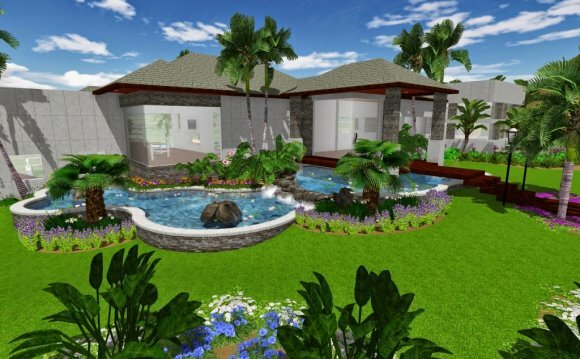 TurboFloorPlan 3D Home and Landscape Pro 2015 has everything you need to visualize and design your dream home and outdoor living spaces. Get the most pre-designed floorplans, professionally designed room and landscape templates, and thousands of drag-and-drop symbols to quickly get started and speed design, plus more tools to customize colors, materials, cabinets, and more. Perfect for remodeling, interior decorating, landscape and deck design, and more! Complete Home Design Features to customize foundations, walls, roofing, HVAC, electrical, plumbing and more! Brand Name Paint Colors, Wallpaper, and more! Cabinet Designer for Kitchens, Baths, and more!